As the water begins to run-off the Continental Divide and the rivers come up, the sharks come out to play… and race. 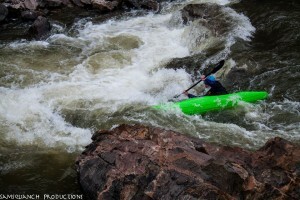 Each year Colorado hosts what I like to the call, “The Festival Race Series” as the top paddlers from around the world head to Colorado to boat the annual flood. 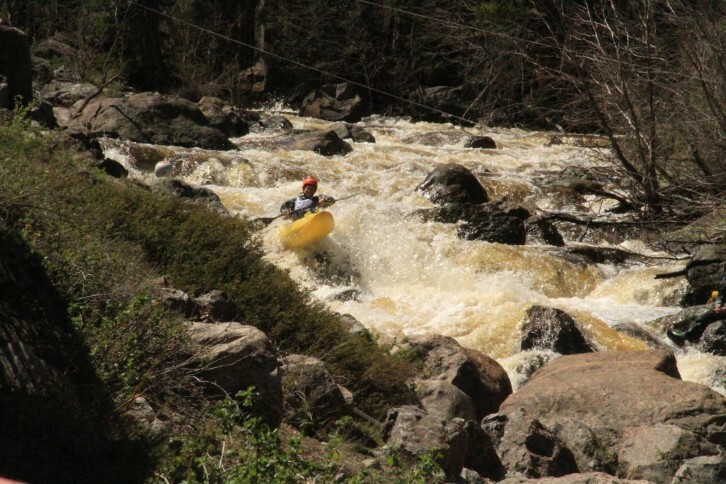 Inspired by the legendary FIBArk River Festival, Golden, Buena Vista, Steamboat, Lyons, Vail, Durango and Salida each hold a series of boat races. A typical river festival will hold competitions in Freestyle, Creek (Class V time trial), Wildwater (Class II-III time trial) and of course, Slalom. Team Colorado tends to focus on developing junior athletes, but those athletes grow up and go on to compete in open competition. This post will highlight the results of TCWR’s adult members. We also tend to highlight national and international races that we attend, but during the spring runoff, Colorado is the place to race in the US. 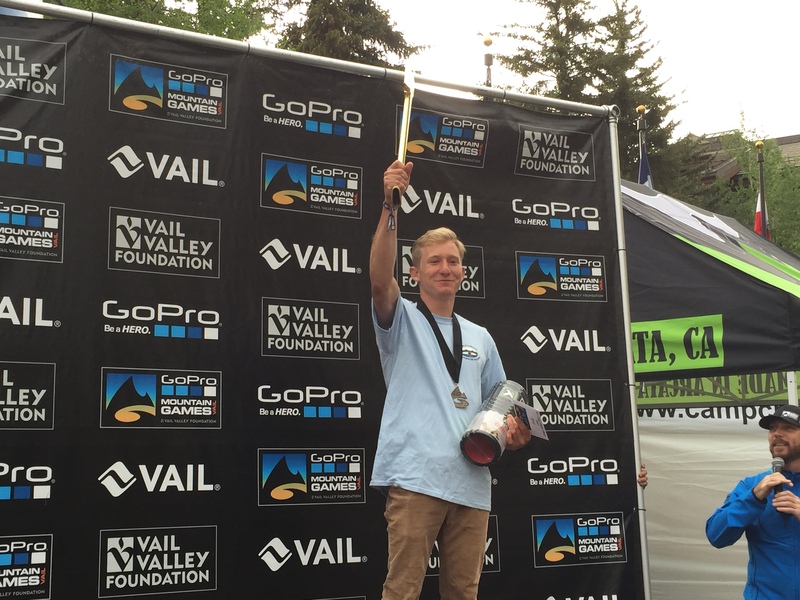 The Festival series kicked off this year with the Golden Games (May 15-17) in Golden, Colorado. 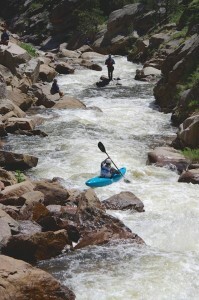 The “Screaming Quarter Mile” creek race on Clear Creek was won by Alberto Diez. Marshal McQuillen took 3rd with strong performances by Max Karlsson and Spencer Huff but their times were lost. Max and Sage Donally won the Freestyle. Alberto, Scott Shipley, Max and Spencer were 1, 2, 3, 4 in K1M Slalom. Sage, Teresa Brozova, Teagan JohnsonMoore and Christine Clark were 1, 2, 3, 4 in K1W Slalom. Charlie Kieft, Bryan Lord and Peter Coggan were 1, 2, 3 in C1M. 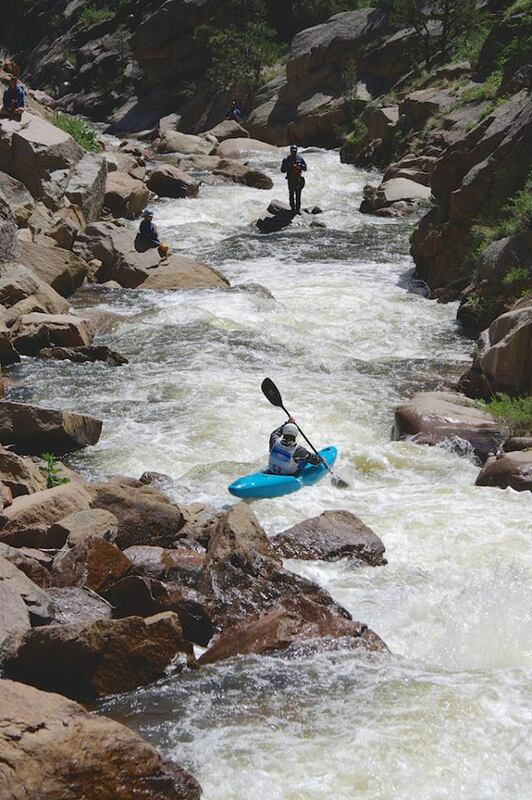 All of these paddlers are affiliated with Team Colorado Whitewater Racing and yes, Golden is one of our home courses. The St. Vrain Creek in Lyons Colorado is near to the heart of TCWR and the training backbone of our program. We definitely have a home field advantage at the Lyons Outdoor Games (LOG), but the pro team paddlers were out in force again this year. Dane Jackson and Nick Troutman took first and second in the Creek Race on the infamous South St. Vrain (SSV.) Alberto snapped his paddle in the first drop (Jihad) but then made some of the most difficult whitewater in Colorado look easy as he went on to finish the run with only half of a paddle. Dane graciously loaned Alberto his spare paddle which Alberto used to good advantage to finish 3rd, just 5 seconds behind Dane. Marshal and Spencer were 4th and 5th. Max finished 8th, Cole Moore was 9th and Garrett Parker was 17th. Mariah Kellman won the Women’s division with a strong run, finishing just 38s off Dane. Full results are here. Once again Dane and Nick took 1st and 2nd in Freestyle with Max in 3rd ahead of some of the best professional freestyle paddlers in the world who were in Colorado training for the US National Freestyle Team Trials. 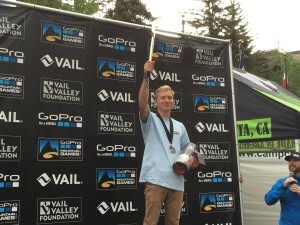 Nathan Warner took first in the ‘Not So Pro’ freestyle and is going on a trip to Ecuador for his efforts thanks to LOG sponsership from Kayak Ecuador. The cadet freestyle was won by Lyons very own Katie Fankhouser. But in the end, Lyons is ‘Slalom Town’ and we had our revenge. Only former US National Slalom team member, Emily Jackson, was able to break through the Team Colorado lines to stand on the podium finishing 3rd in K1W. There were 45 entries representing 6 countries in slalom. Alberto, Scott, Max, Spencer and Dane were 1, 2, 3, 4, 5 in K1M. Former German National Team member Hella Panewig, Tereza and Emily Jackson were 1, 2, 3 in K1W. Charlie, Bryant, Spencer and Dane were 1, 2, 3, 4 in C1M. Junior C1M champion, Bryant Lord, walked away with a new Jackson Kayak thanks to the always generous Jackson Family! 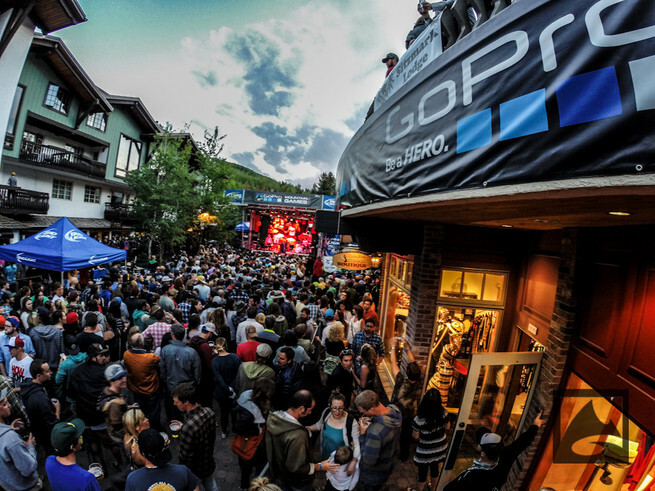 Due to a last minute schedule change, both Steamboat and Durango held River Festivals on the same weekend as LOG. Next year we hope to spread things out a bit more so that TCWR can participate deeply in those events. 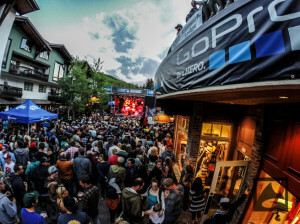 The GoPro Games in Vail have become the pinnacle of professional paddling in Colorado with over $100,000 in total prize money (all events) up for grabs. All of the pro teams came: Dagger, Piraña, Kokatat, Adidas and of course, Jackson Kayak. Team Dagger graciously sponsored 4 TCWR paddlers: Max Karlsson, Cole Moore, Spencer Huff and Alberto Diez. Competition in each of the paddling disciplines was fierce but when the smoke cleared, Cole was standing on the coveted Creek Race podium in 3rd and Spencer was in the top spot in the Down River Sprint by over 9 seconds, ahead of some of the most famous names in North American paddling. Many thanks to Magnus Karlsson who is always there. Next up… the Mother of all River Festivals, FIBArk!